Getting a loan with bad credit. For about half of the population, weak credit is the biggest obstacle to getting a mortgage. Fortunately, for many of them it's an obstacle that can be overcome. Bad credit home loans have become considerably easier to obtain in recent years, as the economy emerged from the Great Recession and mortgage lenders gradually eased their credit standards. While specialized bad credit mortgage lenders of the type seen in the early 2000s are still fairly uncommon, major banks and other regular mortgage lenders are increasingly willing to make loans to borrowers with lower credit scores. Whether you can get a loan with bad credit depends on several factors. First, much of it depends on the lender – lenders vary greatly in their standards for approving bad credit home loans, and some will permit much lower credit scores than others. Second, it depends on just how bad your credit is – you'll have a much easier time getting a mortgage with a FICO credit of 640 than a score of 580 or below. A bankruptcy or foreclosure on your record will make it even harder, though these can sometimes be overcome. Third, it depends on your overall financial situation. Have you held the same job the past two years? Is your income steady? How much can you put up for a down payment? What's your debt load like – do you have a lot of other outstanding bills? Often, the challenge with bad credit home loans isn't so much qualifying for them, but paying the price. Lenders generally charge higher mortgage rates and fees on home loans with bad credit and may require larger down payments as well. In some cases lenders may also require evidence of financial reserves sufficient to cover anywhere from several months to a couple of years of mortgage payments. A lot of that depends on how you define bad credit. Surprisingly, there's no set definition. Here's a general approximation of the range of credit scores. Excellent credit is usually defined as a score of 740 or above on the FICO credit scoring system, which ranges from 300-850. A score in this range will allow you to qualify for the best mortgage rates and terms. Good credit is a bit slipperier to define. Some define it as a range from 680-739, which will allow you to qualify for a mortgage loan with most lenders. However, interest rates on conventional mortgages backed by Fannie Mae and Freddie Mac climb noticeably as scores drop below 700, which is why many borrowers in that range opt for FHA loans instead. Fair or so-so credit is generally the range from 640-679. While most lenders will still approve mortgages in this range, some may turn you down. Expect tighter debt-to-income requirements and stricter scrutiny of your finances. FHA loans are often a good bet here, as they still offer attractive rates and low down payments in this credit score range. Most VA loan lenders will accept scores in this range as well. Poor credit is about 600-639. Many mortgage lenders have their cutoff points, the minimum credit score they will allow, in this range, so you may have to contact a number of lenders before you'll find one who'll accept you. Bad credit is anything below 600. In this range, it can be difficult, though not impossible, to get a mortgage. Those who approve loans in this category are truly bad credit mortgage lenders. It's still possible to get an FHA loan with a sub-600 score, though the down payment requirement increases to 10 percent for borrowers with scores below 580. Borrowers with scores in this lowest range often need to go to specialized bad credit home loan lenders whose lending requirements may differ significantly from conventional loans – for example, you may need to put up a fairly large down payment and have substantial financial reserves to qualify. Expect to pay a high interest rate as well. People with bad credit fall into several categories. 1) People with little or no credit, those who simply haven't established credit yet. They don't use credit cards, have never had an auto loan and just don't have a record to base a credit score on. 2) Borrowers who are carrying too much debt. Even if you make all your payments on time, it will hurt your credit score if you've maxxed out your credit cards. You generally don't want to carry a balance greater than 25 percent of your limit on any one credit card. 3) People who've missed payments on their bills. While a single late payment won't hurt you too much, a pattern of several missed payments will significantly reduce your score. How late your payments are is also a factor – a single payment more than 90 days late will have a greater negative effect than several payments that are only one month late. 4) Borrowers who've defaulted on a loan, or had it referred to collection. This will take a big bite out of your credit score and will likely push you straight into bad credit territory. 5) Borrowers who've been through a foreclosure or bankruptcy. These have the biggest negative impacts on your credit and are often compounded by one or more defaults. Fortunately, bad credit doesn't stay on your credit forever. Negative items only stay on your credit report for seven years, so if you can keep all your accounts in good standing for that long, your credit will be wiped clean. The one exception is a Chapter 7 bankruptcy, which can stay on your report for up to 10 years. You don't even have to wait that long for your credit to recover. The worst impacts of a negative item on your credit report begin to fade after two years, so your score will begin to improve at that point. Even with a bankruptcy or foreclosure on your record, you don't necessarily have to wait seven years to get a mortgage. You can be approved for a conventional Fannie/Freddie mortgage in as little as two years after the discharge of a Chapter 13 bankruptcy, and one year for an FHA or VA loan. The usual minimum is three years after a foreclosure, but even here that can be reduced to a single year if you can show extenuating circumstances, like a temporary job loss or medical crisis. If you're in category #1, the type of person who simply hasn't established any credit, the solution is straightforward. Find some type of credit you can qualify for and use it responsibly. This might be a secured credit card, retailer's credit card or auto loan (a co-signer can help). 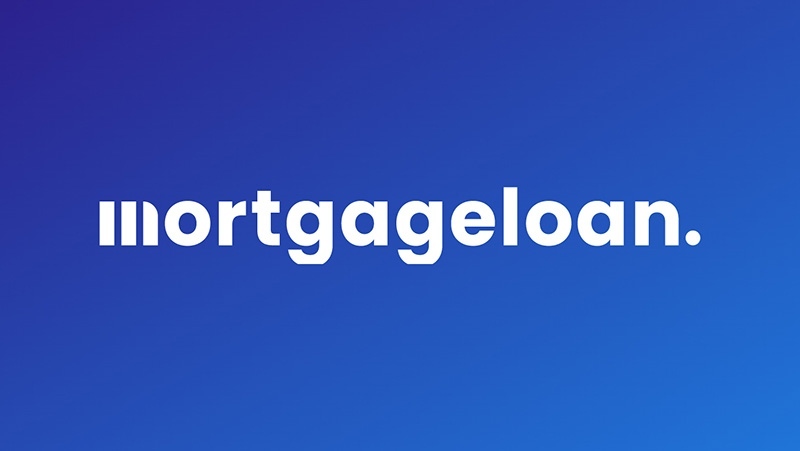 This will allow you to qualify for other loans or credit cards, which will further build your credit history so that within a few years you can qualify for a mortgage. Just be sure not to take on too much debt and always make your payments on time. Bad credit mortgage lenders fall into several categories. The first are simply regular lenders who deal in products such as FHA or VA loans, which have less stringent credit requirements than conventional mortgages. Another type are small banks and credit unions, which may have more flexible lending standards than the big national banks and mortgage companies. These often focus on serving a local community or region where they know the housing market and local economy very well, so they don't take a "one-size-fits-all" approach to evaluating borrowers for loans. A third way to get bad credit home loans is through a private lender. Rather than a bank, this may be an investor, a private lending company or even a person of your acquaintance. The costs for private mortgages are significantly higher than for conventional home loans and the rules are different as well - it's a good idea to consult with an attorney when arranging such a loan. Private mortgages also tend to have fairly short terms, such as five years, with a balloon payment at the end. You can shop for bad credit loans online, as nearly all of the above types of lenders will have an online presence. Many will also let you apply online as well. Don't expect any kind of guaranteed approval for bad credit mortgages – there's no such thing. While there are bad credit home loan lenders who will approve mortgage applications regardless of credit, such loans may include conditions you are unwilling or unable to meet – such as a 30 percent down payment, double-digit interest rates and a requirement for financial reserves to cover three years of mortgage payments. But if you can handle that, they'll approve you. It is advisable to check the rates with several bad credit lenders and compare. Even though you have to pay a higher rate, find the one that has the best rate and most favorable terms. Don't forget to take into account closing fees and other loan terms - those can have a significant impact on the cost. Again, one of the most convenient ways to do this is through the Internet. Online loans for bad credit allow you to check the offerings of a large number of lenders quickly and easily, and allow you to obtain and compare rate quotes based on your credit situation. A broker can be very useful when shopping for home loans with bad credit. Brokers don't issue loans themselves, but instead work with a large number of lenders to try to find the best loan for you. Because they're familiar with the credit requirements and mortgage products of these various lenders, they can often find a bad credit mortgage lender who'll approve you much faster than you could find one yourself. Some bad credit loans carry a pre-payment penalty. This means if you pay off the loan sooner than expected - say you refinance within less than 3 years - you have to pay a penalty so the lender can recoup the interest payments it was expected. It's a good idea to avoid these when possible, but some lenders may demand them when you're looking for a bad credit loan. The initial rate is typically locked in for a period of 3-7 years, after which it begins to readjust to reflect the current market for mortgage rates. That means your rate could go higher. But if you've kept up with your mortgage payments and other bills, your credit will have improved and you should be able to refinance to a fixed-rate loan without a bad-credit rate adjustment added in. You want to be sure your financial situation is stable before committing to an ARM, since you don't want to get stuck with it if another blow to your credit should prevent you from refinancing down the road. However, if you see possible financial problems ahead, you probably shouldn't be buying a home in the first place – though it still might make sense to refinance your current one. Don't let less-than-sterling credit make you give up your dream of homeownership before you start. You do have options. Research your choices and do some homework. Your dream could be closer to a reality than you realize.